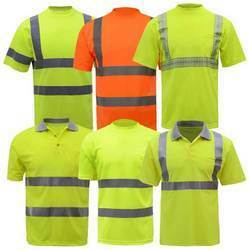 We are one of the elite traders of a premium array of Reflective T- Shirts. 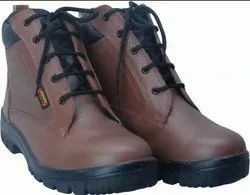 These products are procured from eminent vendors of the market who use finest quality material in the manufacturing process. The range offered by us can be availed with and without hood that can be easily seen from a distance. Our product-line is widely acknowledged for its waterproof nature and resistance to high power flame. 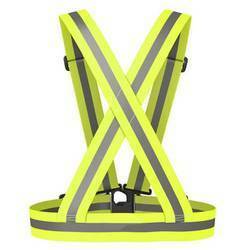 S Protection offering to our clients an extensive range of Reflective Cross Belt. The use of high grade material is done as per the set parameter of quality in production of these Reflective Cross Belt. S Protection providing a best range of Reflective Armband. 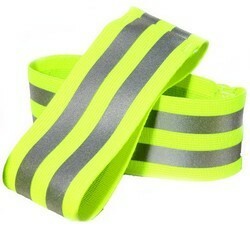 We are supplying Reflective Safety Armbands that have elastic stretching and are very conformable to the wearer. Looking for Sports Safety Accessory ?